To some people, drawing gives them the feeling of expression. They are able to best convey their emotions. To some, it is a hobby that they can’t do without. bring out the best in your drawings. Many artists have struggled with pencil drawing and have not really gotten good at it. They then move on to paint with colors, and when they find that they face the same basic drawing problems, they choose to ignore them and make up some excuse so that they can avoid having to face those problems. If you're facing the same problems, my advice to you is to meet those problems head on and overcome them once and for all. Artists who refuse to face and tackle drawing problems head on can only do so much. Their growth is stunted, and their drawing skills will not improve. Over time, their skills will be overtaken by those who took the trouble to examine the problems and actually solve them. Once the drawing problems are solved, it's then a question of consciously choosing how you want to draw. For example, many artists cannot draw realistic pictures using pencil. When the drawing didn't turn out the way they wanted it to, they say it's abstract art, or they're trying to symbolise the subjects. But we all know the truth. There are times when drawing a realistic picture is much better than symbolic drawing, so we can't run away forever. Sooner or later, we're going to come face to face with the same set of problems. And you know what? If we can't overcome these obstacles, we'll have to face them again and again. That's the universe way of testing us. But the good news is, once you undersand the basic problems of pencil drawing, you'll learn that they're not that difficult to overcome. And if you can learn to overcome these problems, you'll also find it easier to overcome problems associated with color, since the problems are similar in nature. The number one problem to pencil drawing is control. Artists can't draw what they want to draw because they don't know how to control the drawing tools properly. But how difficult can it be to control a pencil? It's easy if you know how. For instance, you can vary the pressure of the pencil to shade with a whole range of different tones. You can choose to work with a blunt or sharp pencil, or decide to hold the pencil differently. These are all techniques related to pencil drawing. So don't jump the gun, be patient, and learn to draw well with pencils before moving on. After all, part of drawing is about problem solving, and if you can't solve your pencil problems, you won't be able to solve your painting problems. That's why pencil drawing is an essential skill to acquire. Good drawing tutorials and drawing materials are hard to come by. If you've been looking around on the Internet for some good drawing materials, I'm afraid you'll have to spend lots of time to come across some good ones. The problem with finding good drawing tutorials is that it can be time consuming to come up with good quality drawing materials. For instance, writing a set of drawing lessons involve hours and hours of pre-planning and organization. The author will then have to spend time going back again and again to re-organize, rewrite or redraw the illustrations in the drawing lessons until all the nitty gritty details have been ironed out. Due to this time consuming process, many authors take "short cuts" when creating drawing materials. They create just one illustration, and think they're done with it. They write the instructions just once, and think that it's completed. But we all know, that's far from completing a set of quality drawing lessons. When we spend a little time to think about why some authors would do that, it all boils down to the dollar sign. Many free resources that you'll find on the Internet are put out for one simple reason: to make a quick buck off some advertisements. I know that sounds a little bit harsh but it's the truth. Make a search for the free drawing materials on the Internet and you'll find lots of proof of what I'm talking about. If the goal, right from Day 1, is not to create materials that'll really help others improve their drawing skills, the focus is already wrong right from the very beginning. These authors choose to focus on the short term dollar sign rather than focus on creating quality content. When the focus is wrong, the end result is predictable. Crappy materials get churned out. Also, from the reader's point of view, note that when the website becomes unprofitable for the author to continue creating content, the site is going down the drain. That's because the author will not continue investing valuable time working on a website that's now becoming a burden. So if you come across a website with quality drawing lessons, be sure to support the site. When a drawing website becomes profitable for the author, more quality content will follow. But I digressed a little. The whole point of this article is to help you choose quality drawing materials. To do that, you need to be able to tell difference between quality and crappy drawing materials. Here are some tips. When choosing quality materials, the first thing to check for is the end result. Always look for sample drawings. If the sample looks really good, chances are the author knows what he or she is talking about. After all, we now can establish the fact that the author holds the key to whatever drawing problems we may be facing. Also, look for hints of amount of work done when developing the product. For example, has the work been proof read? Have it gone through stringent quality checks? What has been done to collect feedback? Finally, it's very important for the reader to look out for little tell-tale signs of the authors ability to deliver good training materials. All good trainers know how to communicate effectively to ensure that the message gets across. For instance, does the author know when to insert key messages in the content? The time to do this is when the author has got the reader's attention. You can tell how good an author is just by reading some sample paragraphs. 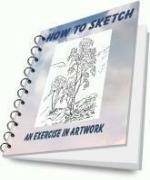 The above information will help you make a better decision when it comes to choosing high quality drawing lessons. Good luck in your seach! When learning to draw, sometimes it's difficult to know what techniques are available to artists, which ones you should use, and which ones you should not use. How to hold a pencil seems to be trivial in nature but can make a huge difference in your drawings and sketches. In this article you will learn a few different ways to hold the pencil and how to adopt them into your drawing practices. This is important because most people don't realize that there are more ways than one to grip a pencil when drawing and sketching. They generally pick it up like they were taught in school for writing. But writing and drawing are a lot different. So the way you hold your pencil should be different as well. A lot of problems such as hatched lines and unsteadiness originate from holding the pencil incorrectly. The first grip is the basic tripod grip. It is the technique that they teach young children in school. It's probably the same one that you use for writing. You grip the pencil with the thumb, forefinger, and middle finger to form a tripod or triangle. This tripod is usually supported by your ring finger and pinky fingers. The grip allows the pencil to be controlled when making fine strokes and is great when applying fine details. The fingers are in control of the pencil when using the tripod grip. It's also nice when doing the finer details because your hand can rest on the page as it lays these in. Sometimes smudging can be a problem, but no fear, just lay down a sheet of paper to keep your drawing free from the smudges. The problems of this grip are that it is a frustrating way to draw. A flowing line is impossible to do this way, your hatching and cross-hatching isn't done correctly and the lines become curved, the pencil pressure is off, and it's not the most comfortable. The position that is closely related to this position is called the extended tripod grip. It is essentially the same as the basic tripod grip with the exception that the tripod is formed further up on the pencil. This benefits the artist because only a small movement of the fingers can produce greater movement of the pencil tip. One thing to remember with this is to not squeeze it too tightly. The technique that a lot of artists use is called the overhand grip. This grip is where the pencil is held almost as if you were holding a bow for a violin. Your hand goes over the pencil and is held lightly against the fingers and the flat of your thumb. This overhand grip is ideal for sketching with the side of the pencil and is the preferred grip among artists. It doesn't need a propped arm and the limitations are only your arm span. Not nearly as many limitations as the other grips have. This overhand grip produces flowing, sweeping lines and is great for sketching, hatching, cross-hatching, value work, with the side of the lead. It is a huge preference for academic drawing. It's great when using a drawing surface such as an easel. One common rule in whichever grip you choose to use and whatever works for you is to never, ever choke the pencil tip. This is never a good thing to do for artists. Just remember to use a grip that you are comfortable. There are many variations of these grips and do what you are comfortable with and you will see your drawings come alive.